I hope all of the mothers out there had a good Mother’s Day! If you all wanted the car wash, lawn mowed, house clean, dinner cook, errands ran, or money in y’all’s pockets, you mothers deserve it. Today is y’all’s day! I know we children don’t always say it. But, we do appreciate everything you all have done for us and that you all continue to do for us. The life you all gave us. The nights you all stayed up with us and the fact that you all always put us before yourselves is not forgotten. It’s not always easy putting up with children. I know. I was a child once and I have a mother. Due to my time as a child with my mother, I know that we children can be a handful sometimes. We’ve done crazy things like putting the car in reverse and getting it stuck in mud. And I know there of plenty of you out there who thought you were a young Picasso and decided you’d use crayons to decorate the walls a beautiful shade of black, blue, red, yellow, and orange. Then there’s this. How many of y’all have gotten the red finger nail polish and glued y’all’s mamas’ toes together? I did that one when I was a toddler. Yeah, not good. But, my mom was cool about it after she figured out that all of the red finger nail polish on me wasn’t blood and was there because of my decorating of her feet. She picked me up, took me to the bathroom, and cleaned me up. She then kissed my little forehead and gave me a chocolate chip cookie with milk. I was about three-years old during that time. Now, I’m not going to tell y’all about all the crazy things I did as I got older. Those things are just embarrassing as I am sure some of y’all’s stories are about how not so good y’all were as teenagers and young adults. It takes the patience of Job I tell you. The patience of Job. But y’all see, that’s the cool thing about mothers. They will go off on us in one breath and then turn around and use the other breath to show tender love and care. They know how to balance their anger and love when dealing with their children. And the sweet thing about all of this is that mama is mama 24/7, 365, or 366 if there’s a leap year. Even as we become adults, that motherly love never goes away. They’re always there placing us on the straight and narrow whenever we stray away. Nothing beats a mother’s love. Nothing I tell ya. That’s why I hope all of the mothers got what they wanted. Whether it was peace and quiet, a dinner, or a bill paid, the mothers deserve it. But most importantly, the fact that you all gave us life means that you all deserve to have everyday be Mother’s Day. 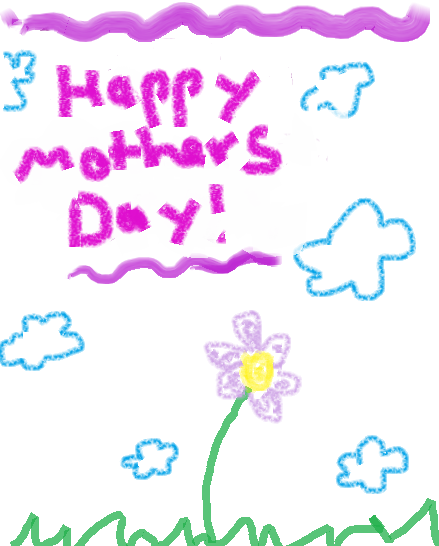 I hope all of the mothers out there had a wonderful Mother’s Day and I hope the rest of the year is just as great. Happy Mother’s Day to all of the mother’s out there! You all are truly appreciated!